Location - 1090 Dolliver Street, Pismo Beach, CA. On the corner of Dolliver Street & Wadsworth Avenue in Pismo Beach. Free parking in lot, turn in on Wadsworth Ave.
Open - Monday - Thursday by appointment. We are dedicated to providing excellent dental care for all ages, giving individual attention to each patient. We use the latest scientific evidence and methods to not only save teeth, but also help you prevent cavities in the future. cleanings, radiographs, diagnosis, restorations, fillings, crowns, bridges, extractions, root canals, implant restorations, teeth whitening. El Doctor Hassler le atenderá en Español. Kevin Hassler, D.D.S. & Linda Hassler, R.D.A. Dr. Hassler grew up in Arroyo Grande and is delighted to be back home on the central coast. He received his Doctorate of Dental Surgery at the University of California San Francisco. He stays involved in the community with the Rotary Club of Arroyo Grande and is an active member of his church. His wife, Linda graduated at the top of her class from the dental assisting program at City College of San Francisco. Dr. Wakeman earned his Doctorate of Dental Surgery degree from UCLA. Prior to dental school, he obtained a major in Biology and a minor in Music Theory from Cal Poly, San Luis Obispo. 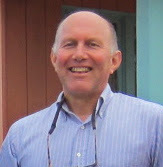 He has been practicing dentistry in the central coast since 2005 and enjoys many outdoor activities. Dr. Lockwood is now retired, after 38 years of service. 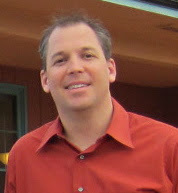 After completion of his undergraduate and doctorate studies at UCLA, he came directly to Pismo Beach. Dr. Hassler and Dr. Wakeman have assumed responsibility of care for his patients. Surfing, traveling, and construction projects will keep him busy in retirement. Call 805-773-2500 today for your appointment!